It seems like some of the most dominant teams over the last couple decades have been the dirtiest and this VGK v. LAK game seems to be following that trend. (full disclosure I thought Doughty’s hit on Carrier was dirty as hell) The combination of Doughty and Brown (and Quick with the attempted trip on Marchesault) I’m afraid is going to leave this Vegas team with too many injuries, reported or not, to overcome Nashville or Winnipeg or even Anaheim in the next rounds. VGK look like a clearly better team and it will take a not-impossible-superhuman-effort by Quick to take this past 5 games. Back to my initial point though, this LAK team reminds me a lot of the 2000s ducks teams and pretty much every Pens cup winning team of recent years. They all had/have some incredible talents, but they also have some real shitbags. 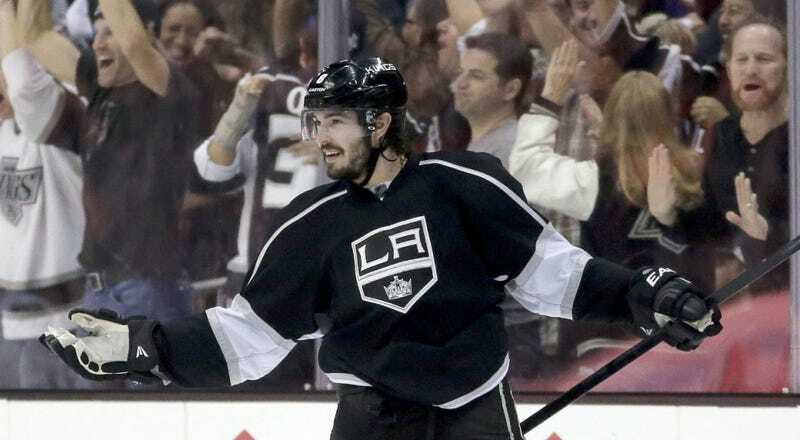 Doughty (much like Marchand and Keith at times) is a top 5 talent at his position with a big scumbag streak, but they also have depth guys who have no place in today’s NHL or the future at least. Anze Kopitar might be my favorite player to watch, but I just can’t get behind rooting for the Kings. It is much more fun to root for Slovenia to get an upset win or two, but we couldn’t even get that this year.